A Flood Elevation Certificate provides information on elevation, building type, flood map location, and further information used to regulate the proper flood insurance premium rates. A Flood Elevation Certificate is also used to strengthen the request for a Letter of Map Amendment (LOMA) or Letter of Map Revision (LOMR), and to ensure conformity with community floodplain management ordinances. Willis Engineering and Surveying is a company dedicated to saving you money by correcting your flood zone, eliminating costly flood insurance premiums, and assisting you with a refund of the flood insurance premiums you have paid unnecessarily. Since 2005 we have provided our services locally to homeowners, commercial property owners, property managers, insurance agents, and real estate professionals. Annually there are millions of dollars spent on flood insurance premiums on property that has never flooded, will never flood, and has never produced a claim against the premiums paid. This is because the property has been placed in a Special Flood Hazard Area (SFHA) by the Federal Emergency Management Agency (FEMA). 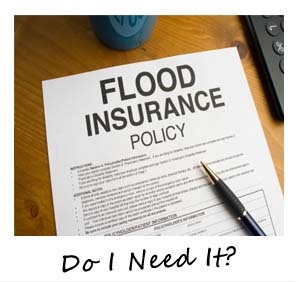 The owners are then required to carry flood insurance by their mortgage companies. Even though the owners don’t need the insurance their premium will contribute to the homes in the area that are actually in danger of flooding but will not pay properly because your premiums are unjustly covering a portion of the flood insurances policies. Educating yourself on flood zones is a great way to determine whether you are in need of a change in your flood zone policies and will give you peace of mind over the property you own.